Though currently finishing their deputation Justin and Danielle feel God directing them to begin their ministry in the capital city of Lusaka with a population of 2.2 million people. Many Zambians from all parts of the country are making their way from the bush into the cities looking for work. Therefore, they seek to make disciples in the capital who can help them expand their church planting ministry into more rural locations. The Sauders know that God is the One who builds the church. Their desire is that God would allow them to plant several churches in Lusaka, in which many young men would be called to the ministry. They will carry the Gospel back to their home villages and plant churches. Zambians reaching Zambians is their goal. As missionaries, the Sauders know they cannot reach every village in Zambia by themselves, but with God’s help in training nationals they want to see every village in Zambia with a Bible believing Baptist church. Beginning my senior year in high school, the Lord started placing a desire in my heart for the people of Zambia. During college that desire became stronger and stronger, and I would often find myself reading, talking to people, and looking at pictures of that area. After marrying my wife, I knew that the Lord may be directing us to those people, so my wife and I took a five week survey trip to Zambia to confirm if that was the Lord’s will for us. For the following three years, my wife and I prayed and we have no doubts that, that is where he wants us to serve in the future. We believe God desires to manifest His glory in Zambia through the planting of indigenous, self-supporting, self-governing, self-propagating churches as we see modeled in Acts 14:21-23. 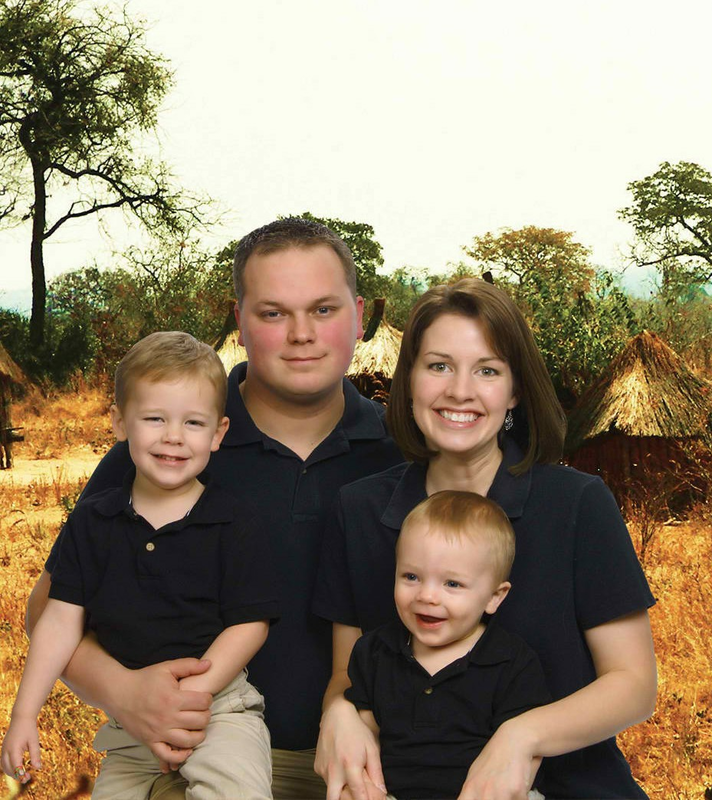 Pray for this couple and their children as they begin their ministry in Zambia. They joined BIO in 2010 and are scheduled to go to the field in the summer of 2013. You can read more about their ministry at their website. This entry was posted in Missionary Profile and tagged Danielle, Justin Sauder. Bookmark the permalink. Both comments and trackbacks are currently closed.